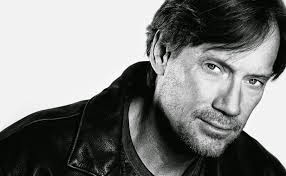 Celebrity English: Kevin Sorbo An Extraordinary Man! Kevin Sorbo An Extraordinary Man! Hollywood Actor, Author, Director, Family man and whole lot more! 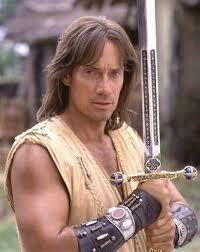 Celebrity English is truly excited to present a 3-Part Feature on Kevin Sorbo! Kevin talks to Celebrity English about his inspirational book TRUE STRENGTH, “THE REAL HOLLYWOOD”, the critically acclaimed film ABEL’S FIELD, and his wonderful charity foundation A WORLD FIT FOR KIDS. 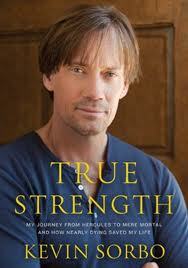 True Strength by Kevin Sorbo! Alex Graham: Good morning Kevin Sorbo! 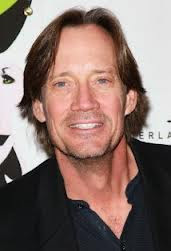 Kevin Sorbo: Hello Alex. Whenever you are ready! …“and - How Nearly Dying Saved My Life”. Can you tell us more about that time in your life? Kevin Sorbo: It was the end of season five. You know I lived in New Zealand for 7 years filming Hercules for a 7th season. But they edited out a lot of season five because I was having all kinds of problems with my left arm. I couldn’t figure out what was going on. And I was coming back to America to do a movie in Atlanta. So I stopped in LA and I was actually going to do a press tour for Kull the Conqueror which was my first big feature film of the prequel of Conan the Barbarian. And umh. I went to see my doctor and he found a lump in my left shoulder. And he wanted to do a biopsy on it. But before they could do a biopsy on it. That lump ended up being an aneurism in my left shoulder clavicle, which opened up and sent half of the clots to my left arm and I was told they might have to amputate by someone at the hospital. And then those 3 clots unfortunately went up into the brain and I suffered 3 stokes. So it was a …a bit of drag. It was a long road to fight back to get to a place in my life where things were going to be 'ok'. The title True Strength really comes from, all of us are going to hit that roadblock. And we all have that one common denominator death for all of us and we just don’t know when or how it is going to come to us. So you react to that when it happens. So it is sort of a play on words with Hercules. Hercules, you know… on Hercules they had a bunch of stunt guys making me look good. But I did do most of my own stunts but still I can’t throw a guy a 100 meters. The True Strength title really came from defining the own true strength within your own life. When bad things happen to you, how do you react, how do you deal with it? And in terms of saving my life… you know…it made me realize what was important in life. I was pretty self-absorbed. I have never really considered myself a jerk, I am pretty out going with people but it made me realize what is important. And what is important is family, friends, and your health! Those are the most important things. Everything else, you know, if you like what you do for a living and I hope everyone does but I know a lot of people don’t. But you know if you do then you are blessed and fortunate. Just enjoy what you have! Alex: You really open up to the readers about life in Hollywood, and your excruciating mental and physical health challenges during this time in your life. You basically lived through a nightmare! What kept you going in your darkest days? That’s what holds people back in their lives. And for me, you gotta keep pushing on. And that is what I did. I just kept pushing on. And my wife was certainly by my side pushing me on as well. Alex: I noticed in the book, and I thought it was brilliant, that you let some other people tell your life story. Where there any surprises when you saw what these people had written? “This is what happened to me”. Playing a guy who is supposed to be the strongest guy in the world in his thirties. And I knew I was in better shape then most athletes, most college athletes. I was in great shape! And this still happened to me. And you are like going: wow!” You know. And it has been amazing the reception from this book. I get so many people coming up to me at these book signings. All walks of life and have suffered not just strokes maybe whatever cancer, leukemia, car crash, heart attack, all survivors saying my book motivated them to push themselves harder to better recovery. And that is really what I wanted the book to be about for other people. Alex: That’s so fantastic you can help and inspire people! And your book True Strength: My Journey from Hercules to Mere Mortal–and How Nearly Dying Saved My Life is just flying off the shelves! I checked on Amazon earlier today and there was only one left in stock. Extraordinary! Part Two of The KEVIN SORBO feature at Celebrity English. Kevin talks about “The Real Hollywood”, and the critically acclaimed film Abel’s Field! LINK: Kevin Sorbo on an Extraordinary Journey! Here are some high frequency medical words from the Kevin Sorbo interview! First, try to write down the meanings or ideas for each word. Next, try to guess the meaning from the context of the words you didn't understand. Then ask a friend or classmate about the words that where difficult. Finally, check out the expressions on the Internet. However, the answers are posted below. Just scroll your mouse over the black area under Vocabulary Definitions. Also, check out the LISTENING BONUS BELOW! doctor = a person licensed to practice medicine, as a physician, surgeon, dentist, or veterinarian. shoulder = the laterally projecting part of the human body formed of the bones and joints with their covering tissue by which the arm is connected with the trunk. arm = the upper limb of the human body, especially the part extending from the shoulder to the wrist. lump = a piece or mass of indefinite size and shape; protuberance; especially : an abnormal swelling. aneurism = an abnormal blood-filled bulge of a blood vessel and especially an artery resulting from weakening (as from disease) of the vessel wall. clavicle = a bone of the vertebrate pectoral girdle typically serving to link the scapula and sternum —called also collarbone. clots = plural form of clot. A coagulated mass produced by clotting of blood. amputate = to remove by or as if by cutting; especially : to cut (as a limb) from the body. hospital = a place where sick or injured people are given care or treatment and where children are often born. brain = the organ of the body in the head that controls functions, movements, sensations, and thoughts. saving my life = to stop someone from dying; to rescue or protect from or deliver from death or harm. in great shape = in good/excellent physical health; in good condition physically and functionally sound and sturdy (Used for both people and things). cancer = a serious disease that is caused when cells in the body grow in a way that is uncontrolled and not normal, killing normal cells and often causing death. leukemia = a serious disease in which the body produces too many white blood cells. heart attack = a serious medical condition in which the heart does not get enough blood, causing great pain and often leading to death. survivors = plural form of survivor. a person who continues to live, despite nearly dying. A person who is able to continue living their life successfully despite experiencing difficulties. recovery = the process of getting back something lost, especially health, ability, possessions, etc. BONUS! Listen to Kevin Sorbo's video (below) where he talks about his book True Strength. You can hear a lot of the vocabulary that you just learned. Enjoy! "God's Not Dead" Latest Blockbuster featuring Kevin Sorbo! Kevin Sorbo in The Secret Handshake! Have a great week and see you on the weekend! Keep trying to use all the new vocabulary you picked up from this great Celebrity Interview! Such an inspiring story and an excellent lesson! Kevin Sorbo A World Fit For Kids! 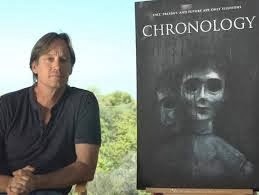 Kevin Sorbo on an Extraordinary Journey!